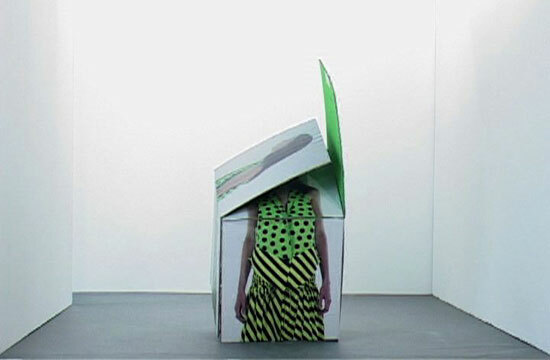 The film Box Project was a commission for the Italian fashion label Capucci while the fashion designer Bernhard Willhelm was head designer at the label. People use boxes for protection, to live in them or to wear them as clothing. A room can also be described as a box.